Obviously heating your home is a big expenditure especially in the coming weeks. The recommendation from the EPA is to keep your thermostat at a cozy 68° during the fall and winter. That might seem a bit too cold but it can make a significant impact not only on your monthly electric a power bill but also on the environment. You can be more efficient by making sure you close vents in rooms that aren’t in use and keep those doors shut. Also, it might help to have a programmable thermostat. That way it can turn on just a few minutes before you get home as opposed to staying on all day. As you are lowering your thermostat for your home heat, you can also lower the temperature on your water heater. You may not be aware of just how hot your water gets. The optimum temperature should be around 120°. If you can manage down to 110 or 105 then that’s even better. Many home heaters are set at 130 and above. Not only is that wasteful but it also increases the risk of scalding water coming out of the faucet. Are you good at turning off lights every time you leave the room? That’s a positive step to take but you can also replace those incandescent lightbulbs with new energy-efficient bulbs. They may cost a little bit more but you will be replacing them as much. In fact, one compact fluorescent light can last for several years. If you planning on getting rid of some big items like furniture or major kitchen appliances then you should consider recycling them as well. That might be a challenge if you’re doing the job on your own but if you turn it over to Junk King Portland it will be a problem at all. Junk King Portland is dedicated itself to an eco-friendly way of disposing of all the things it collects. There helping Portland get to the goal of zero waste. 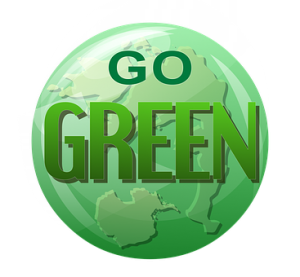 You can reduce your carbon footprint with help from Junk King Portland without even lifting a finger. This entry was posted in Portland junk recycling and tagged carbon footprint, junk, junk King, recycling on September 27, 2017 by Junk King. Last updated September 27, 2017 .